Fyllikon first harvest olive oil (protolado) is a very unripe, cold extracted, organic, extra virgin olive oil ultra premium and limited edition,of Koroneiki variety (monovarietal), and it is not simply the first olive oil of the harvest season, also known as unripe olive oil or agourelaio. Fyllikon first harvest olive oil, limited edition, differs tremendously from the classic first harvest olive oils or the fresh olive oil, because it is selected by hand and made from very small unripe olives, usually in early October, cold extracted at 16°-18°(cold extracted unripe olive oil), in a matter of few hours after its harvest and requires a multiple quantity of olives for the production of this specialized type of authentic first harvest oil. Fyllikon first harvest ultra-premium olive oil is an organic unripe olive oil with very low acidity (nearing 0.1% in many of its production years), with a deep green color due to the unripe green olive fruit, with powerful antioxidant properties and is a limited edition first harvest olive oil with health beneficial properties (phenols in high phenolic olive oil), rendering it one of our prime organic functional foods with health claim (Health claim 432/2012 E.E. for olive oil). 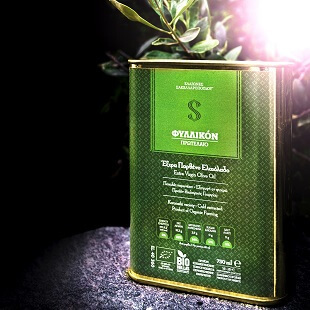 The organic extra virgin first harvest olive oil, Fyllikon ultra Premium limited edition, is a characteristically bitter and pungent cold extracted unripe olive oil with intense fruity taste and aromas of fresh unripe olive fruit, known as protolado. 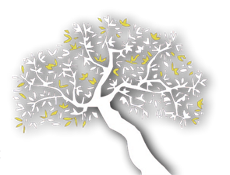 It has received multiple awards in many top international competitions worldwide for its taste and quality and is considered one of the most multi awarded Greek organic ultra Premium olive oils.